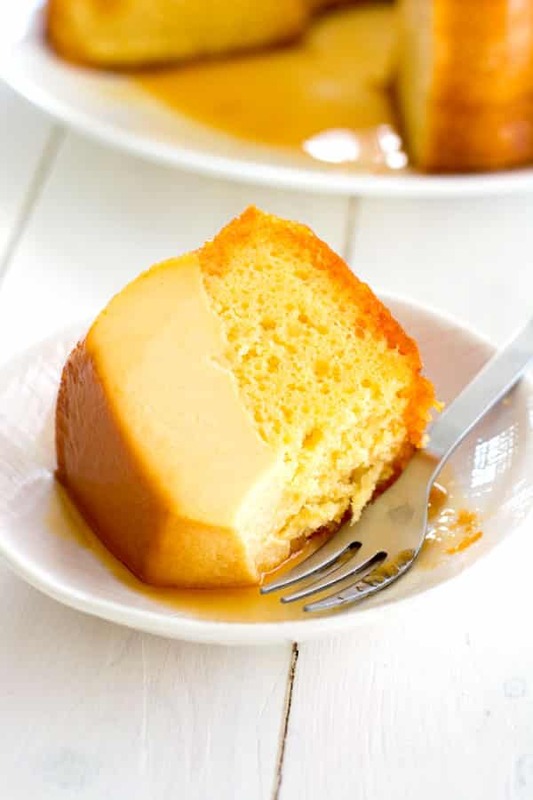 This easy flan cake (flancocho) combines two amazing desserts in one. Tender cake topped with a smooth layer of cream cheese flan and a caramel sauce all bakes together like magic. Plus, it starts with a cake mix so you can have this cake and eat it too, in no time at all! 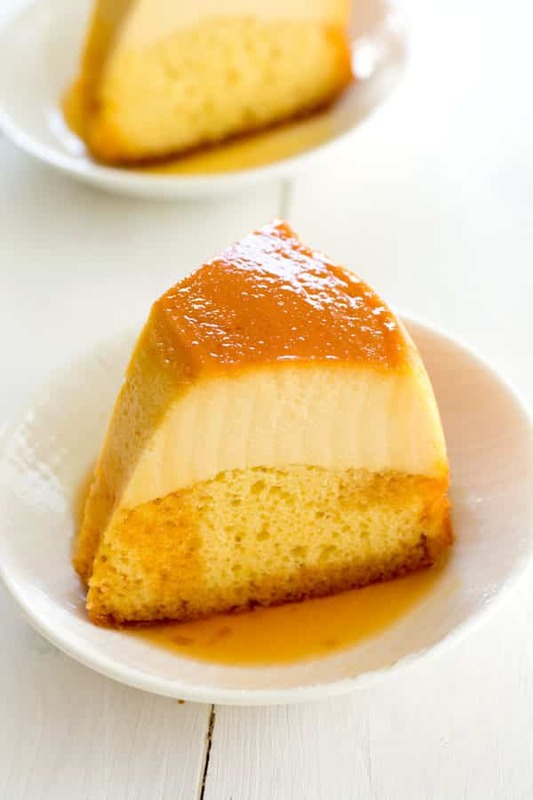 One of my all-time favorite desserts is Puerto Rican flan de queso. 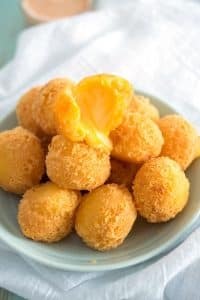 It’s a baked custard made with cream cheese so it has a thick cheese cake-like texture and it’s swimming in a pool of sugar caramel sauce. It’s amazing and if you’ve never tried, I highly recommend! 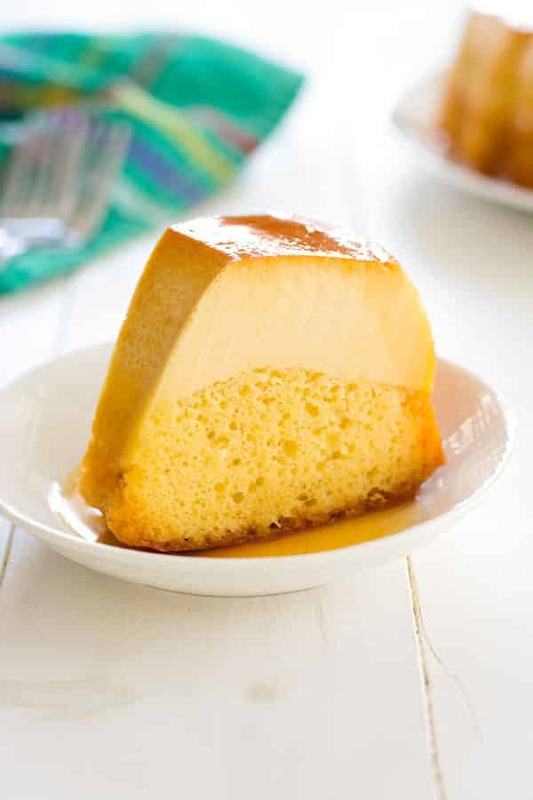 My second favorite Puerto Rican dessert would have to be flancocho, or flan cake. In Puerto Rico, bizcocho is the Spanish word for cake. Whenever I go to a party and someone walks in with flancocho, they are my new best friend (either that or whoever brought the Puerto Rican Rice)! So this dessert is a layer of cake topped with a layer of flan. Of course, there’s drippy caramel sauce involved as well. Now you don’t have to choose between cake or flan – you get the best of both worlds! This recipe is for easy flan cake since it uses a convenient box mix. 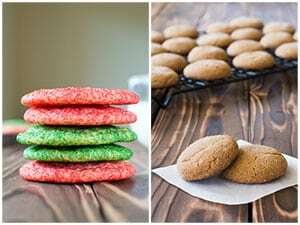 You can also change up the flavors – chocolate or pineapple cake are delicious! Let’s talk about the details to make sure your cake turns out amazing. Firstly, this cake is usually baked in a Bundt pan, but other shapes can be used as well. You’ll need to use a large 12 or 15 cup tube or Bundt pan. Make sure your tube pan is not the kind with a removable bottom or it will leak out everywhere. If you’re like me and only have a small 10-cup pan, that’s perfectly ok. However, all of the cake batter won’t fit in the pan. Just make the extra batter into cupcakes so it doesn’t go to waste. You’ll have something to snack on while the flan cake cools and sets up! This easy flan cake is also called “magic cake” because the layers separate while baking. 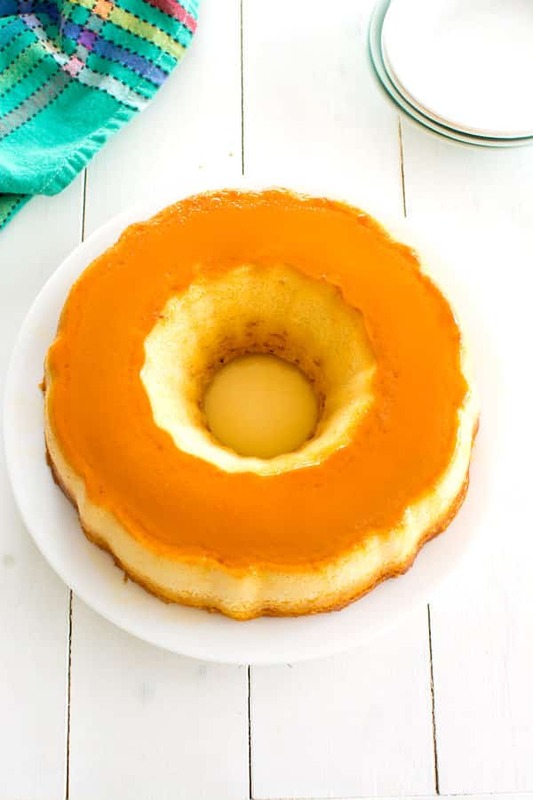 The flan always ends up on the bottom of the pan (top of cake when flipped). Some people add the flan to the pan first, others add the cake mix first. It will turn out either way. I add the cake batter last, that way I don’t overfill my pan. About 85-90% full is perfect. The cake is then baked in a water bath to ensure a smooth and creamy flan. Allow to cool completely, and then refrigerate before removing cake from the pan. Overnight is best, but allow at least 4 hours. Your guests will be delighted when you flip it over onto a platter and all the caramel runs down. Meanwhile, you’ll see me first in line to get a slice! Pin this to your Puerto Rican food board! Would like to make a 9×13 version. I make a cake for all my coworker’s birthdays, so I need to make sure everyone/most get a piece. (I use a disposable pan so I don’t have to worry about taking home/washing.) I would put cake on bottom and flan on top so no turning out onto another plate. Do you have a bake time conversion? It will be about the same time (1 hour), possibly less. I would start checking at 50 minutes if a toothpick comes out clean. 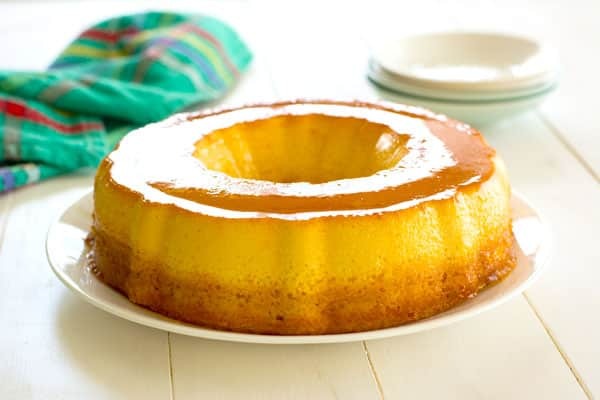 Also, no matter which you put on top/bottom the flan will always sink to the bottom of the pan and the cake to the top. Thank you for the quick reply! Also for the info on the layers. I will just have to flip it out, not a problem. I’ve made this in the bundt but excited to try the 9×13. I made it in a disposable 9×13. I sliced the corners and pulled all four sides down. Then I inverted another pan over top and flipped it into that one perfectly. Lost only a little bit of caramel, so it worked pretty decent. What I did not do was start checking ten minutes earlier as you suggested only because I forgot about that part of your post! It turned out very firm so next time I will bake 45 minutes. When doing it in the bundt pan at one hour it comes out more moist and soft. I think 45 minutes in the 9×13 will produce the same. Everyone still LOVED it, because the taste was great. so it is now on the list of available birthday cakes! 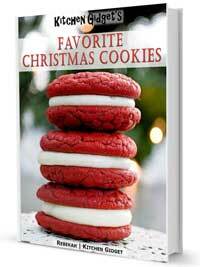 I made this for Christmas Day dinner using Strawberry Cake Mix and it got mixed reviews from my guests. Since most of them have had it the traditional way with chocolate cake. I personally liked it and will be making it again this weekend for dinner at my parents with a yellow cake mix per your recipe. Chocolate is probably my favorite but it’s hard to choose. I’ve never tried with strawberry but that actually sounds pretty good! Happy New Year! Hi I made this today but I find the cake just a little dry/hard. I followed instructions and have made it before only thing i can think of is I covered while in oven with foil. Help!! Thanks. I think it might have been the foil. I never cover my flan or flancocho when cooking, but I think it makes it cook faster so it might have cooked too long then. Check a little earlier with a toothpick and it should be ok! What temperature do you cook it on? 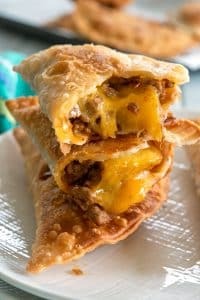 Will it work if i substitute crushed pineapple for the cream cheese? Im concerned that the consistency won’t work if i miss pineapple, eggs, and the milks. 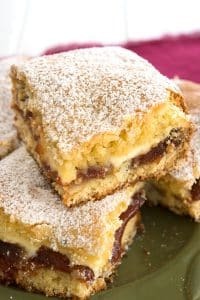 My friend sent me the recipe, but he doesn’t like cream cheese and would like a pineapple version of this cake. Please tell me what you think or what other adjustments i would need to make. Thanks! 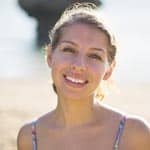 Hi Angela – pineapple flan is delicious. I’ve never made pineapple flancocho but I think it can be done. 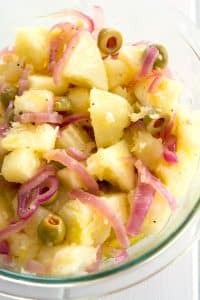 This is an experiment: instead of cream cheese I would add 1/2 cup or more of canned pineapple chunks (I think fresh will interfere with the consistency). If you want more pineapple flavor, I would substitute pineapple juice for the can of evaporated milk. I think everything else can stay the same. If you try making a pineapple version please let us know if it turns out! can I do it without the cream cheese? Your instructions are so easy to follow. My flancocho was a success!! Yay I love hearing that! Thank you! Can i use Chocolate Cake. Hi. I made this cake numerous times. It’s slwats a hit. The only thing is when I mix all the wet ingredients the cream cheese seems to still stay a little curd. What can I do. Do you mix it in a blender? That’s what I use. Also make sure the cream cheese is well softened before mixing. If you’re still getting little spots, pour it through a strainer to catch any bits. Hope that helps! I just made this dessert for my daughter’s birthday. She LOVED IT! I switched the caramel for cajeta and chocolate cake mix for the vanilla cake. Delicious!!! Hello this looks great and easy, should l cover with foil while baking? No, I don’t cover mine. I have never made flancocho, but your recipe and directions look foolproof. I promised to take it to some friends’ house for dinner soon, without realizing that I will be out of town several days before that, up until about noon on the appointed dinner date. Will it still be good if I make it on Wednesday night for a Saturday dinner? I am afraid it will get soggy or taste stale…. I think 3 days is pushing it for freshness…it shouldn’t be soggy though if you don’t un-mold it until the last day, but it might taste like tin depending on what kind of pan you have. I’d still eat it myself, but I’m picky about what I serve to others! Thanks for your response, Rebekah. I’ll be using a non-stick Bundt pan, so maybe it won’t taste tinny. I’ll give it a try and let you know how it turns out. I made the flan cake for a family dinner of 13 today and everyone loved it. The kids said it tasted like velvet. 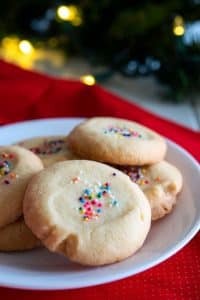 I must say besides delicious I found your recipe and instructions easy to understand and follow and appreciated the tips like doing cake batter last and using extra for cupcakes. Thanks again for your recipe.